There are thousands of people locked away in state and federal prisons who have outrageous sentences or for crimes they didn’t commit. In cases like this, having a criminal defense lawyer who understands and excels in the appellate process is a winner. 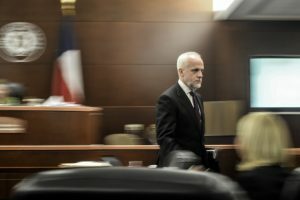 Texas criminal appellate lawyer Mark W. Bennett is one of the best lawyers in Texas for people facing a serious felony criminal charge, indictment at the federal level, and for people in need of expert assistance navigating the complex appeals process. Attorney Mark W. Bennett of the Bennett & Bennett law firm in Downtown Houston believes that filing criminal appeals and challenging court rulings is the best experience that a lawyer can have. At the end of the day, appeals are directly related to the law as it’s written and is one of the best, if not the best way for lawyers to get an encyclopedic knowledge of the law. This is good for them as professionals and good for the people they represent and fight hard for. The first part of the appeals process requires a ruling. In the cases involving the criminal justice system, this means a conviction. Once a defendant is convicted and files an appeal, they become the appellant. Moving forward with a criminal appeal has nothing to do with challenging the conclusion of the jury, nor the competence of the criminal law attorney who chaired the case, but is more related to reviewing the decisions of the judge and finding or citing error. 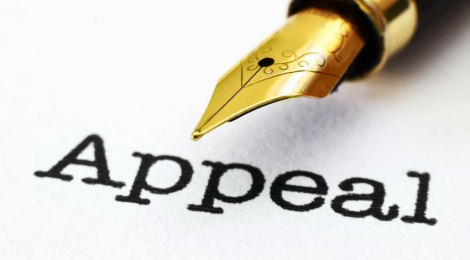 Courts of Criminal Appeal might look into the performance of the lawyer but is primarily focused on reviewing the decisions of the trial court judge and highlighting and resolving any errors that may have occurred. The best way to win or gain a favorable outcome from a Court of Appeals is to prove that a judge made a mistake, show that the problem was brought to the attention of the court, and that it had an impact on the final outcome of the trial. A competent criminal defense lawyer will do their job and preserve the error by making the right objections in the court of law at which point the problem can be directly identified and revealed to the sitting judge. The best criminal defense attorneys in Texas understand the importance of preserving error by making use of court-mechanisms. If the case was handled by a top criminal justice attorney then it will make the chances of winning the appeal more likely. Looking For a Top Criminal Appeals Lawyer? If you live in the Houston, TX general area, or anywhere else in Texas, and you need to contact a criminal defense lawyer about a wrongful conviction or unfair treatment by the court, consider reaching out to Attorney Mark W. Bennett by calling 713-224-1747. Attorney Mark Bennett is Board Certified® by the Texas Board of Legal Specialization and is one of the most respected lawyers in Houston.